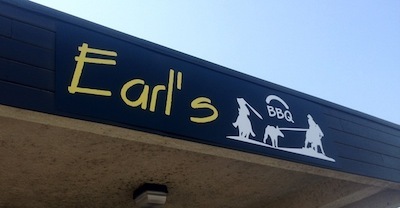 Earl’s BBQ is hosting the 1st Annual Earl’s BBQ Classic Car Show on Saturday, October 19, 4:00-8:00 pm, at 4701 Main Street, Denair. All hot rods, street rods and muscle cars are welcome, and the first 35 cars registered are guaranteed parking at the event. Pre-registration is only $15 and includes one rib dinner per car. Registration at the event is $20. The event will include awards for the vehicles, a 50/50 raffle and music with host DJ Gene Adams. Proceeds from the show will benefit a local Turlock resident, Doug Anderson, who is in need of a hip replacement. Both Doug and his wife lost their jobs and he is two years away from Medicare coverage. Come on out and enjoy beautiful classic cars, eat some southern style BBQ and lend a helping hand to a worthy local cause! For more information on exhibiting an automobile, or for general questions about the event, contact Gene Adams at (209) 883-9291. Posted in News and tagged BBQ, classic cars, Earl's. Albert Dutra liked this on Facebook.